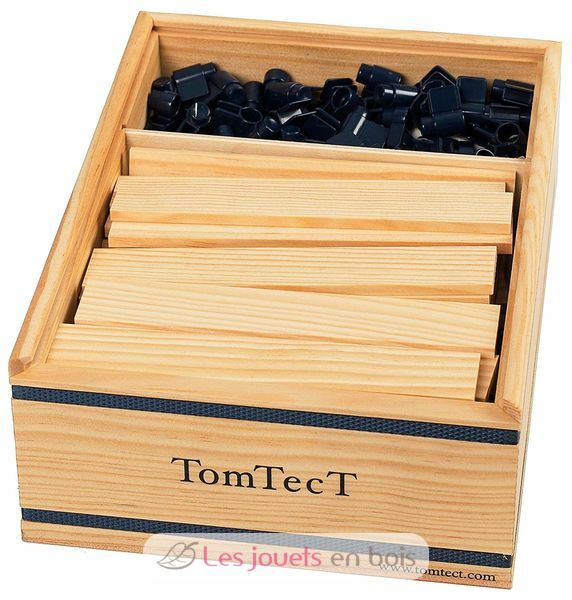 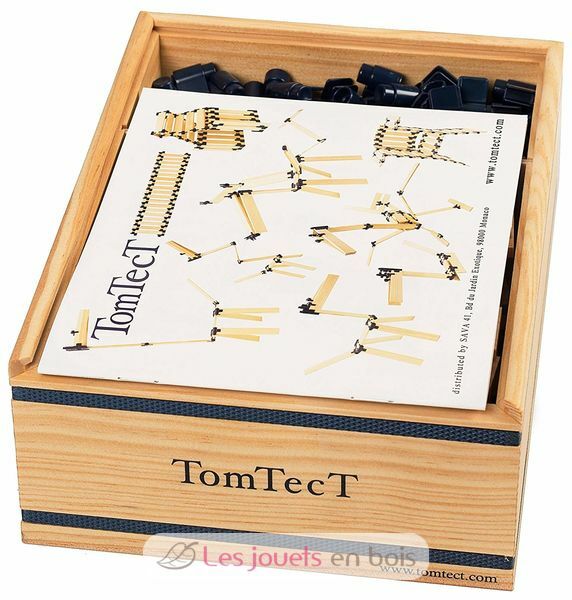 The Box of 180 pieces TomTecT is the latest from TomTecT. 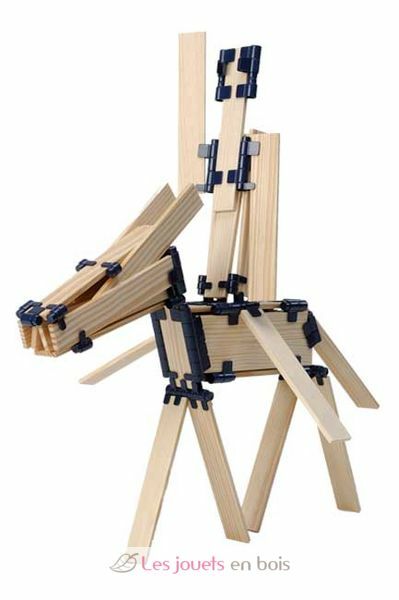 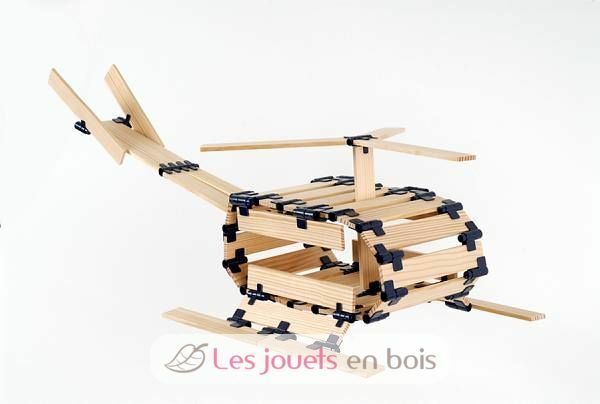 It includes 42 wooden elements, 138 pliers. 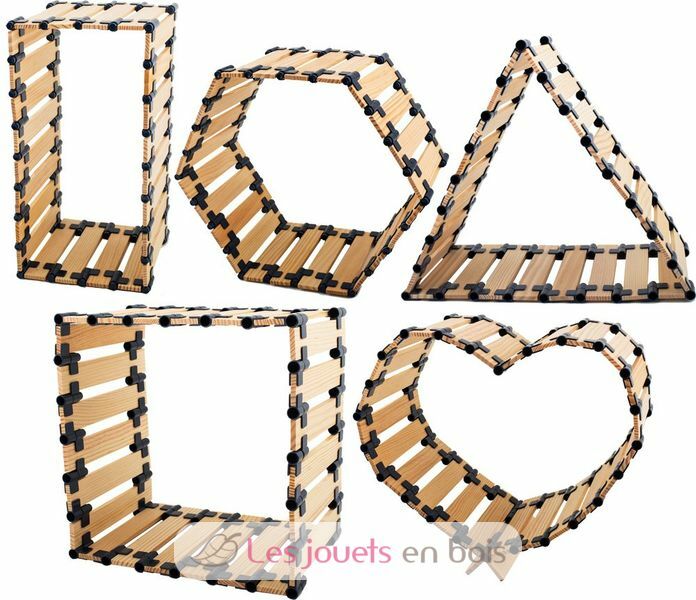 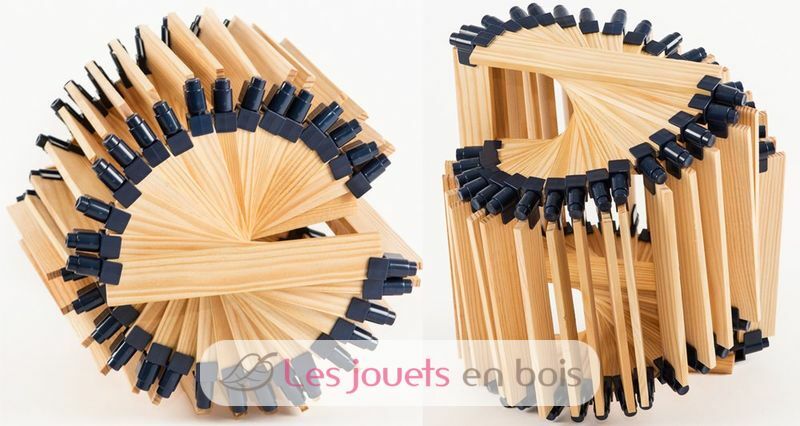 The two great innovations are in the wooden planks which, unlike the other two boxes, have six sizes of different lengths including the new "double gripper" with which you can now telescoping two planks and so vary the length to make endless small and large structures including a bridge more than 2 m!